During the height of the Great Depression, getting 100,000 people hyped up about anything other than available paid work would seem an impossible task. Jobs were scarce, money was tight, and morale was low. But there was one thing that could drive the masses to the streets of New York City in the thousands – Beer. By the early 1930s, it was painfully obvious that prohibition was a failure, despite once being a hugely popular concept, with most of the ills of society being blamed on alcohol for various reasons, some legitimate due to drinking trends at the time, particularly for factory workers, and others not. Perhaps one of the few times in history citizens have been clamoring for taxes. This all added up to millions of lost federal and local taxes annually. The New York Times speculated that if the Federal government reinstated its former tax of six dollars per barrel, $500 million (about $7 billion today) of new tax revenue could be generated, and that the same sum could be expected at the state level. This was quite the selling point to a nation suffering severe economic stagnation. Those calling for the end to prohibition also pointed out that gangsters, like Al Capone, controlled the manufacture and sale of alcohol. Between 350-400 murders per year, among a large amount of other types of criminal activity, could be traced to the lucrative but obviously deadly bootlegging underworld. Making alcohol legal again would cut the major source of funding to these gangsters, as well as freeing up police to pursue other criminal activity. Other cities across America followed New York’s lead. 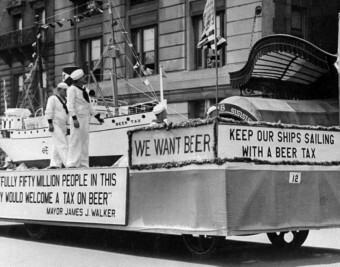 Chicago’s Beer for Prosperity parade attracted 40,000 people, and the majority of Daytona Beach’s 17,000 citizens participated in its parade, which commenced with marchers drinking from a 20-gallon keg of beer. Naughty, naughty. Prohibition was clearly on borrowed time in America. Prohibition wasn’t the only time the U.S. Government decided to poison the supply of some illegal substance in order to try to scare people away from using it. In the 1970s the government sprayed marijuana fields with Paraquat, which is an herbicide. They thought this had the dual benefit of killing large portions of the crop and also scaring people away from buying marijuana in those areas because the surviving plants would essentially be laced with a mild toxin. Public outcry at the time however, forced the government to stop doing this. The 18th Amendment itself was repealed in December of 1933. When President Roosevelt signed the Cullen-Harrison Act, he made the now famous remark, “I think this would be a good time for a beer.” A mere one day after the Cullen-Harrison Act went into effect on April 7, 1933, Anheuser-Busch, Inc, sent a case of Budweiser to the White House as a gift to President Roosevelt. 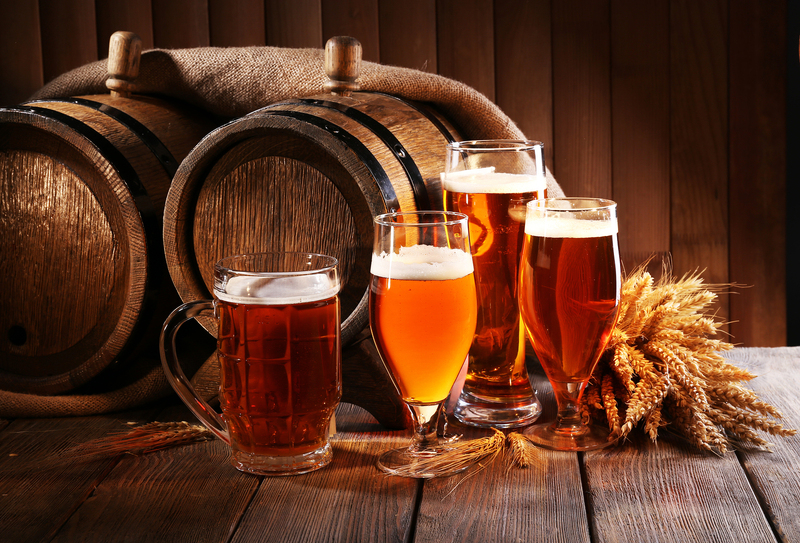 While the Volstead Act banned the manufacturing, sale, and transport of alcohol, it did allow home brewing of wine and cider from fruit. An individual home was allowed to produce up to 200 gallons per year. Grape growers of the day began selling “bricks of wine”, which were primarily blocks of “Rhine Wine”. These often included the following instructions: “After dissolving the brick in a gallon of water, do not place the liquid in a jug away in the cupboard for twenty days, because then it would turn into wine.” Also, because the Volstead Act did not ban the consumption or storage of alcohol, before the act went into effect, many people stockpiled various alcoholic beverages. There was a brand of beer sold in Taiwan (an import) that was called I Want Beer. This article epitomizes the saying “those who don’t know history are doomed to repeat it.” We’re repeating it now on a whole new level. The War on Drugs has wasted more money, killed more people, and produced some monsters that make Al Capone look like a saint. Oh and most cartels make more in a day than entire organizations made through all of prohibition, even if you adjust the relative value of the money.